This audiobook provides useful tips, helpful information and peace-of-mind for both you and your dog. 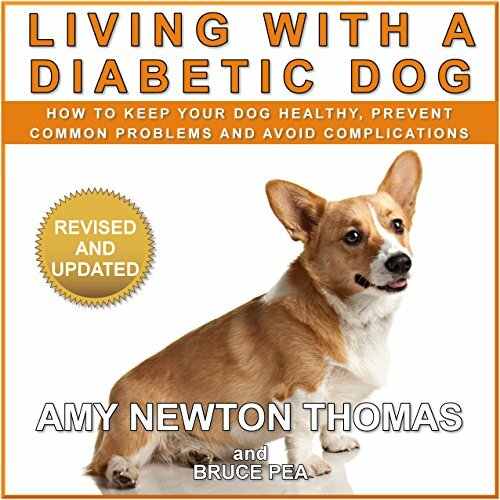 As a diabetic pet owner, you will find this audiobook to be invaluable as you learn to manage and cope with your dog's diabeteis. This new version now includes new chapters: Monitoring Your Dog, provides information on glucose monitors and urine glucose testing; Getting Organized, explores using spreadsheets, online diabetes logs, smartphone apps and more to track your dogs vital diabetic information. In addition, sections on insulin and diet have been expanded with more useful information. H I would have had this book then. She gives precise accurate information. I have experiences some of the pitfalls she talks about and never want to experience them again. By following the recommendations and information in this book you cam avoid some of thr challenges you might otherwise face.